Blog Collective procurement team capability? 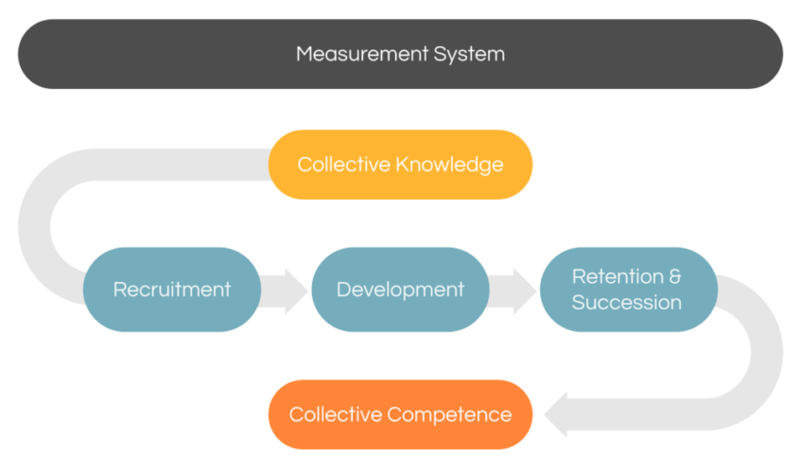 If you can’t measure collective procurement team capability – are you really capable? With more powerful skills assessment tools available today, businesses are increasingly incorporating them as a part of their development programs, to adopt a more strategic, data driven approach approach to capability development focused on understanding collective procurement team capability rather than just individual capability. CPO’s wouldn’t dream of allowing managers to keep intricate details of the company’s physical assets in their heads, their capabilities, utilization etc. However, with employee skills and resource management, this exactly is what happens. Despite CPO’s acknowledging the importance of people and the increasingly challenging battle for talent, many organizations don’t leverage technology to help them better manage, develop, and deploy their people. Fundamental to the use of assessments is their credibility. Assessments must demonstrate reliability and flexibility to ensure valid and equitable outcomes, using agreed standards that are applied to provide enterprise-wide insights. You don’t need a labor intensive skills management program to benefit from skills assessments. iProcure provides a scalable online solution, and results are stored in a secure database that enables analysis and review for the immediate purposes of hiring, training and development and succession planning. Furthermore, the ability to measure learning over a training program helps drive greater overall impact from your development programs. Use iProcure to identify collective competence at an organizational, team, role or competency level. Apply this insight to prioritize development of more effective recruitment and training events and support succession planning. When staffing special projects, it is important to put together team members whose skills are complementary. Insights provided through iProcure help you avoid building teams with ‘collective weakness’ in critical areas. Easy to read graphic visual displays help to ensure your project teams have the best mix of skills to support the projects goals and objectives. iProcure enables the rapid assessment of target company employee’s using your organization’s competency framework to identify high performers, benchmark against existing staff, and identify development needs early on. With speed of integration a critical factor for driving value from M&A, this ability to assess and deploy incoming staff rapidly becomes the key value driver. With iProcure, managers and employees are better able to develop a career plan. iProcures ability to track learning and map results back to defined maturity levels helps to develop appropriate development plans and to signal when employees are ready for the next level. Using iProcure, you can measure the knowledge of your existing employees and use the results as a benchmark for external candidates. Go a step further and compare your employee’s results against all those who have taken the same assessment across the globe. Talent is widely recognized as the single largest challenge facing CPO’s today, where the need to attract, develop and retain top procurement talent continues to be a competitive differentiator. Failure to take this seriously will undoubtedly leave organizations seriously under-resourced without the right, capability and competence to deliver against business goals. Data, technology, processes, and talent, are the pillars of procurement success. iProcure turns employee inputs into hard data, using technology that can be scaled globally to help drive the value added by the procurement organization. Evolution is necessary to survive, and by taking regular inventory of your team’s skills and maintaining the right balance, CPO’s can establish a sustainable, continuously growing, and truly value-added procurement organization.